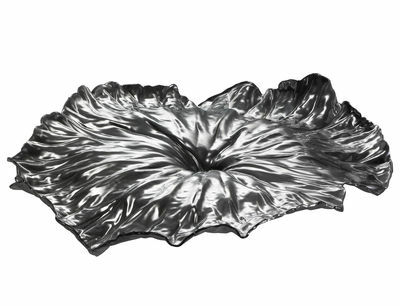 Centrepiece in 18/10 stainless steel. A "Lotus Leaf", designed by Chang Yung Ho (Atelier FCJZ) is part of the "(Un)Forbidden City". This centrepiece represents the will to take inspiration from the nature with very small design influence. 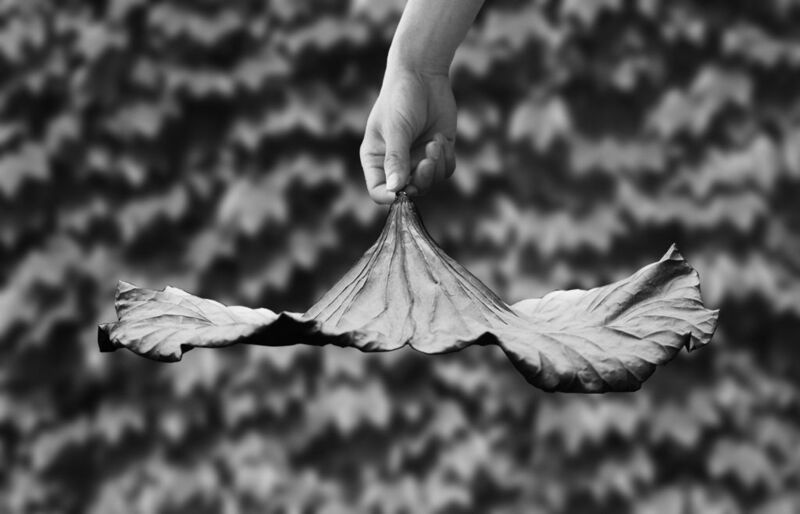 This lotus leaf was picked from the lotus pond of The Old Summer Palace and was left six month to dry. The obtained form has been scanned with a tridimensional scanner and transformed in a mould to obtain the stainless steel copy that produces the tray. The mould can be used on both sides in order to obtain two different ways of containing or serving.